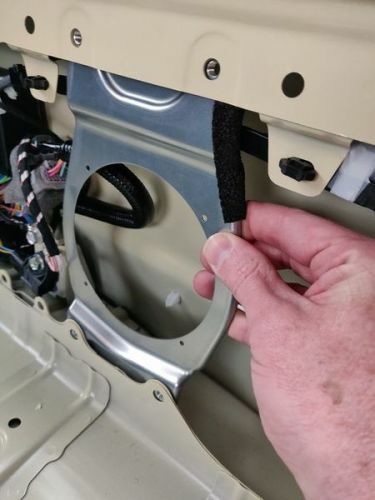 This is the kit required to mount rear speakers in a 2019 model Jimny. The UK specification jimny does not come with rear speakers but the entertainment unit fully supports the connections. This contains both parts 99197-77R00-000 and 990E0-78R32-050 which MUST be purchased together, therefore I have bundled them in this kit. It DOES NOT contain the speakers, there is going to be an European speaker set announced soon. The Japanese specified speaker is a pair of Pioneer TS-G1320FZS. which appear to be 13cm speakers.